A 4" (96 mm) diameter pump set supplied with rising main, wellhead assembly and control panel. All tools and accessories are included for installation of the equipment. 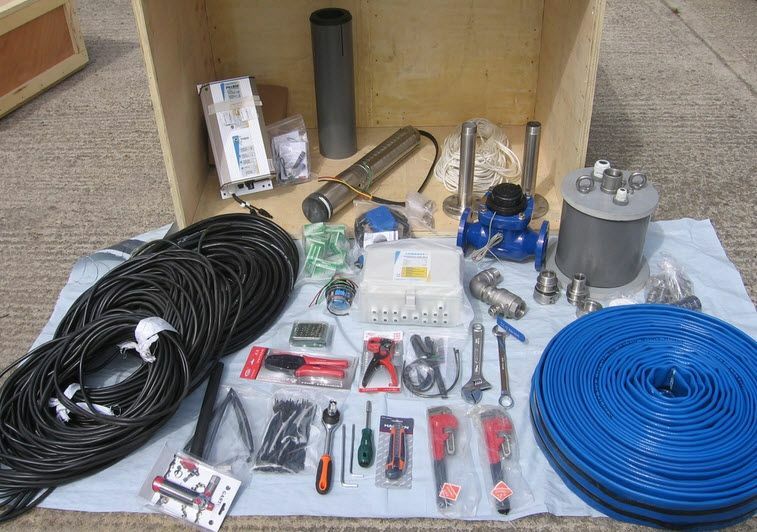 This kit is designed to give maximum flexibility according to borehole yield, daily water demand, and available solar energy. 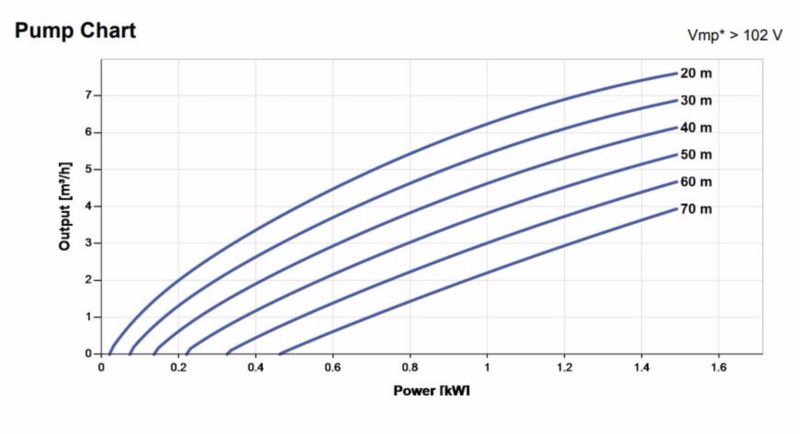 All solar systems require a water storage component, to cover morning and evening demand when pumping is lowest. This should be calculated as part of the daily water demand. NOTE: Damage can be done to submersible pumping equipment and to the borehole if the system is not selected correctly and pumping is not carefully controlled and managed. A full borehole draw-down test is an essential part of pump selection and system operation. Pump protection: This pump is supplied with a low water level probe and a water tank level float switch to control control switching. A Dip Meter is required and should be ordered, one per programme office or per technical team. The pump is supplied with a flow sleeve. A flow sleeve is used to solve problems of motor overheating and the build up of corrosive deposits. A flow sleeve should always be used where clearance is available. 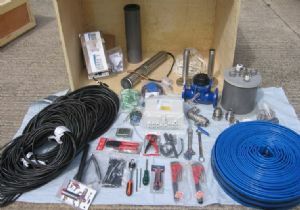 Oxfam Code: FDEV is a chlorine dosing pump for use with this kit. This enables controlled dosing at a variable rate proportional to the flow through the flow meter. Multi-stage submersible pump fitted with electric motor. 12 60 Metre(s) Flexible rising main, 1½"